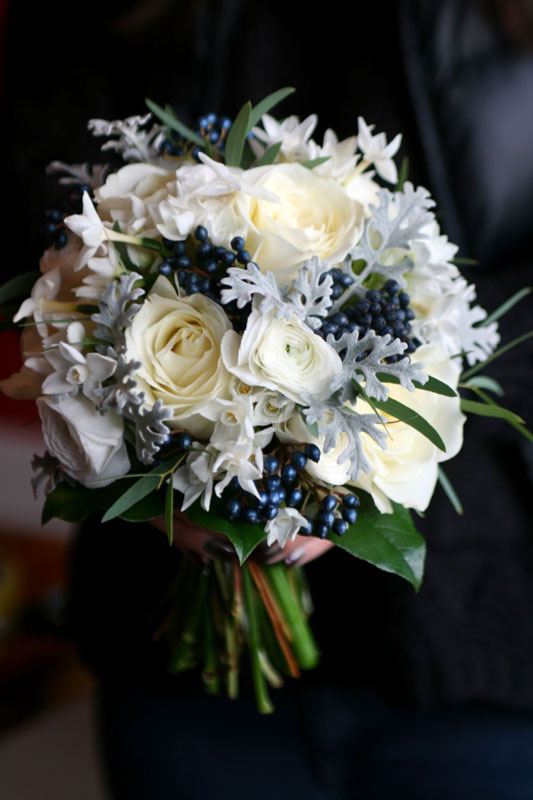 We loved Monica and Chileshe’s colour choice of white with touches of midnight blue. 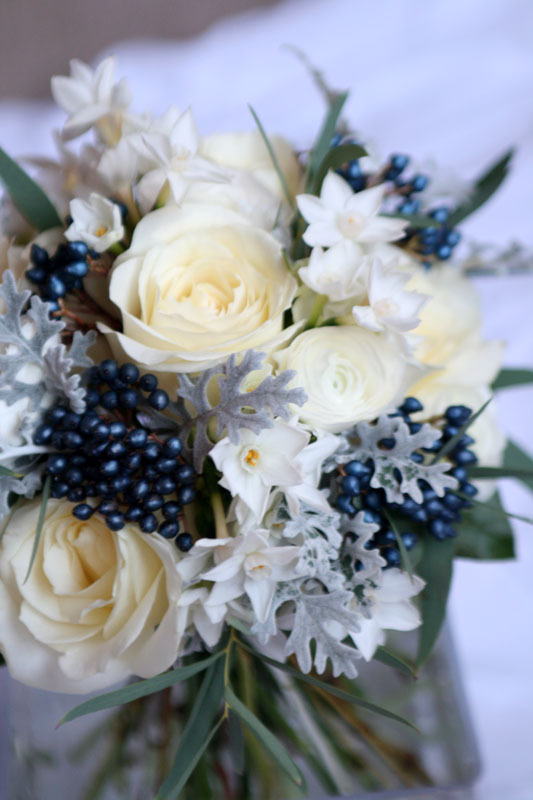 Their wedding was just 4 weeks before Christmas so the colours brought an elegant winter feel to their big day. 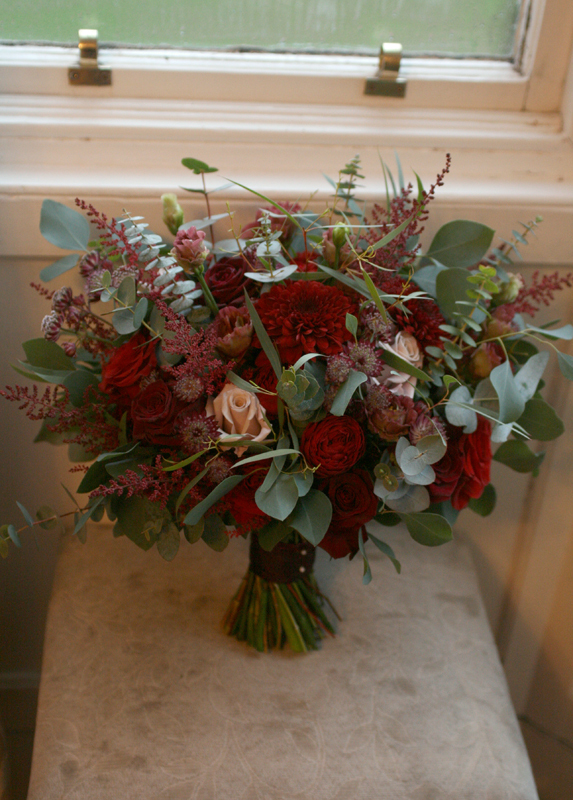 Roses, ranunculus, paper whites (narcissus), viburnum berries, eucalyptus and senecio were used to give the arrangements lots of texture and interest. 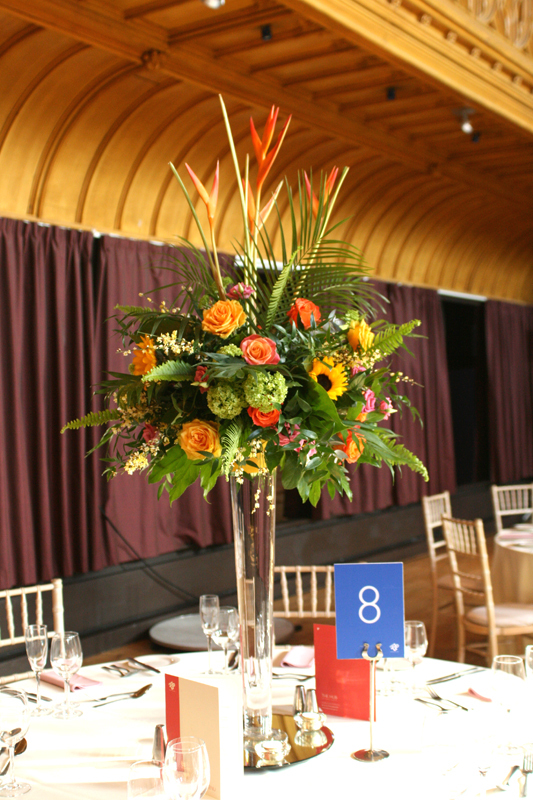 A large floral archway took centre stage at their ceremony and was then moved behind the top table to be enjoyed throughout the wedding reception. 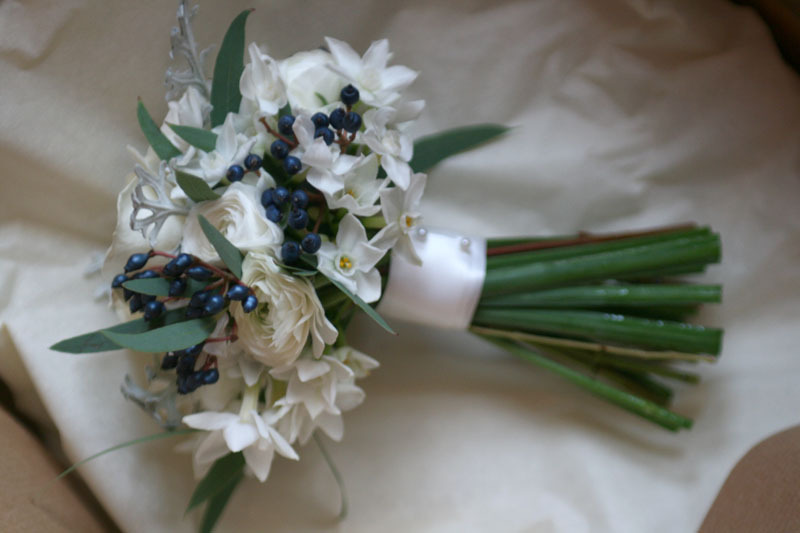 Hydrangea, delphiniums, carnations and gypsophilla along with lots of gorgeous foliage was used for the archway.